Timber Pines is a popular 55+ community with affordable homes and exceptional amenities. Living in Florida is a dream for many active adult retirees, and moving to the Sunshine State doesn't have to break the bank. 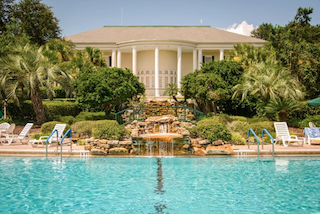 Here are ten fabulous active adult communities in Florida which offer resort-style amenities, as well as affordable homes that cost $150,000 or less. 1. The Villages - The Villages, FL Set in Central Florida, The Villages is one of the largest active adult communities in the world. It spans three counties and has over 56,000 homes, including affordable options that fit any budget. In addition to resort-style amenities, The Villages has town squares, retail centers, restaurants, movie theaters and cafés. 2. On Top of the World - Ocala, FL With plans for approximately 10,000 homes, On Top of the World is designed to meet the needs of many different active adults. Homes include both attached and single-family designs, while multiple amenity centers cater to many interests. Residents can enjoy hobby and game rooms, swimming pools, three 18-hole golf courses and much more. 3. Sun City Center - Sun City Center, FL Just outside of Tampa, Sun City Center welcomes active adults with fabulous amenities and diverse homes. Sun City Center was originally built by Del Webb, yet portions of the development were later sold to multiple builders, creating a variety of neighborhoods, including the gated Kings Point community. 4. Solivita - Kissimmee, FL Active adults who settle in Solivita can enjoy amenities spread across 4,300 acres of natural beauty. This gated community features an impressive array of upscale facilities, which include popular amenities such as restaurants, fitness centers, hobby and game rooms, swimming pools, sports courts and golf courses. The Plantation at Leesburg offers affordable living alongside world-class amenities in Central Florida. 5. Kings Point - Sun City Center, FL Located within the larger Sun City Center community, Kings Point is a gated enclave designed for active adults aged 55 or better. Residents have exclusive use of two Kings Point clubhouses, as well as access to the additional amenities throughout Sun City Center. 6. Oak Run - Ocala, FL Built between 1985 and 2007, Oak Run is a well-established Florida community which combines large community amenities with a small town feel. The community includes 3,509 homes in both attached and single-family designs, as well as four clubhouses. 7. 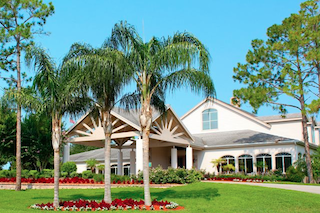 Timber Pines - Spring Hill, FL Resident golfers may be drawn to Timber Pines for its four challenging golf courses, yet all residents can enjoy the community's resort-style amenities and affordable homes. This country club setting supports an active adult lifestyle with a wide range of clubs, classes and activities. 8. Spruce Creek Country Club - Summerfield, FL Built by Del Webb, Spruce Creek Country Club was specifically designed for active adults aged 55 or better. Multiple clubhouses, four golf courses, swimming pools, sports courts and a variety of additional amenities help residents stay active and get to know their neighbors. 9. The Plantation at Leesburg - Leesburg, FL The Plantation at Leesburg combines affordable homes with upscale living. The gated community has 24-hour staffed security, three clubhouses, three swimming pools, an elegant restaurant and a variety of sports courts. Resident golfers will also love the community's two semi-private 18-hole golf courses. 10. Kings Ridge - Clermont, FL Built between 1995 and 2000, by Lennar Homes, Kings Ridge is a smaller community which is big on social living. Kings Ridge includes 2,088 single-family homes, as well as an amenity-rich clubhouse and an 18-hole executive golf course. Residents can also stay active with a wide range of classes, clubs and social events.